It’s no secret that I love notebooks. So when I put together my Christmas wish list this year, it included the Rocketbook reusable smart notebook. And I got one. The Rocketbook Everlast is a reusable notebook that can be set up to automatically upload pages to favorite online services. Unlike the Rocketbook Wave, you don’t microwave the notebook to erase it. You simply use a damp cloth or even a paper towel and wipe it off. While the Wave claims you can erase the pages five times, the Everlast doesn’t have that limit. You can supposedly erase it as many times as you’d like. One caveat is that you need to use a Pilot Frixion pen. The good news is that these pens are inexpensive, easy to find, and come in various sizes and styles. Pens are a very personal choice (indeed, like notebooks), so some people might not be happy about being forced to use a specific brand, but I find the Frixion reasonably comfortable and smooth enough on the Everlast’s glossy pages. There are 18 sheets, 36 pages, in my notebook. The notebook comes with a black pen, but you can use any Frixion pen, with whatever color and thickness you like. It also comes with a cloth, but you can use any cloth you’d like. When you’ve completed your notes, use the Rocketbook app to take a picture of the page and upload it to your favorite online service. At the bottom of each page there are seven faint icons. If you mark one, the app automatically uploads the page to the location you configure for that icon, which can be common cloud services or email. For example, I configured the first icon to upload to a specific directory on Google Docs. When I used the app to scan the page, it worked flawlessly, quickly dropping either a PDF or PNG (your choice) to my folder. With good OCR software and better note-taking penmanship than mine, you could theoretically turn your notes into text files that you can copy into Word or whatever editor you like. The notebook is network agnostic. The connection is handled by the mobile app, so whatever your phone or tablet is connected to is your notebook’s connection. Another thing I like is that the pages use a dot grid rather than lines. Lines can be restrictive and I often ignore them. For people whose notes include sketches and doodles, a dot grid is great. Or for people like me who like to avoid rules and borders when brainstorming. Revision is for coloring inside the lines. Drafting has very few lines, and the lines are very personal, defined by needs that can change constantly. Of course, a plain old notebook is pretty near perfect, and this is a new thing that can be improved with time, but it’s great if you’d like to store notes digitally rather than in a pile of notebooks on a shelf or closet. So, I’m not about to throw out my unused notebooks and use this exclusively, but it gives me another option that works great for some tasks. 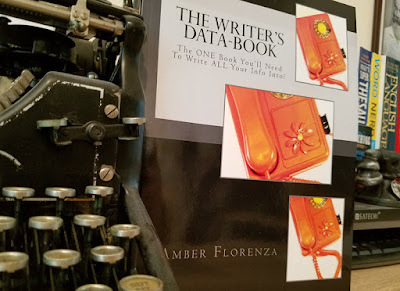 The other day, I was browsing Amazon, looking for interesting writing stuff, and I came across The Writer’s Data-Book by Amber Florenza. It costs just under $7 and I was curious, so I bought a copy. Writers who like to plan your books meticulously will find a lot a lot to love in this book. Even if you only sketch out a few characteristics and useful facts, the worksheets Florenza provides will be useful. The worksheets focus mainly on characters, although there are pages to help you put together an overview of your book and even draft the dreaded synopsis. 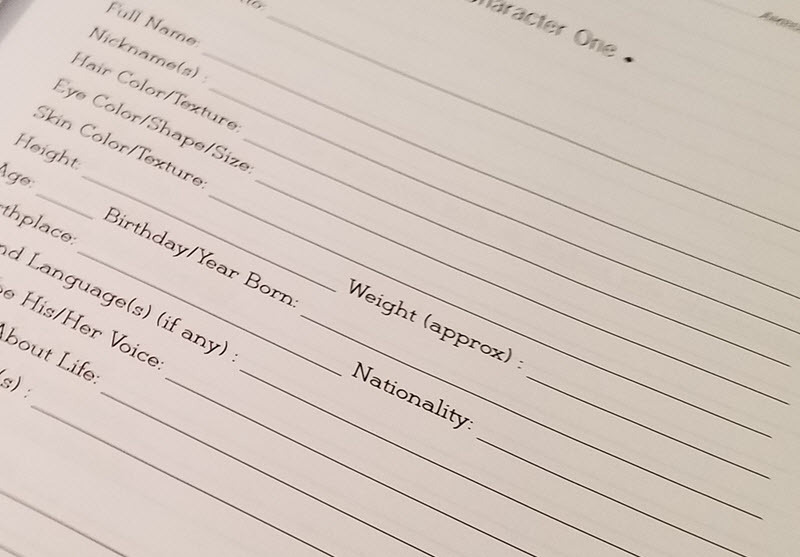 Mainly, though, the worksheets give you a place to fill out information about your main characters and the “secondary characters who matter” and “secondary characters who exist,” as the book calls them. Among the more interesting pages, useful even for pantsers, are worksheets that help you keep track of a character’s family and pages where you can sketch out the floor plan of a character’s house or other important places. Many of the left-hand pages throughout the book are lined for notes, and there are blank pages at the back of the book where you can draw or mind-map or whatever it is you like to do. One interesting element I don’t remember seeing before is the concept of flavors for your story. 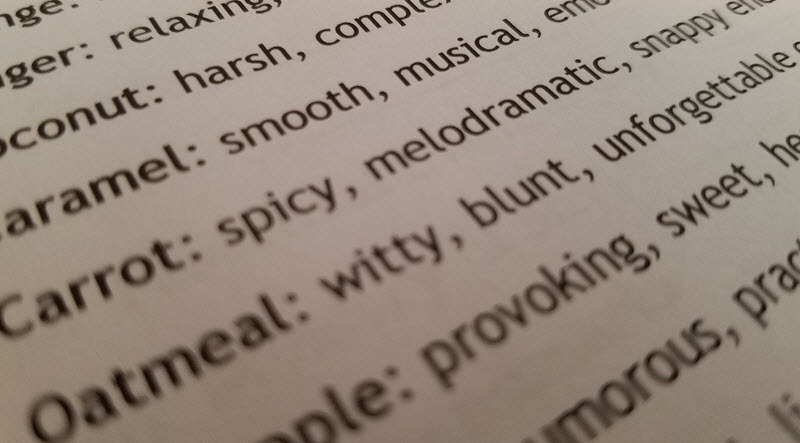 There are a few worksheets where these flavors are included. The book is clearly a Print-On-Demand book. Mine is dated the day I ordered it. It is available in several colors so you can choose your favorite, or even color-code your projects. The author has also generously provided instructions for printing additional pages that are easy to locate online. In fact, I suppose if you really wanted to, you could print pages without buying the book, but that’s cheating. The author deserves something for the work she put into planning her worksheets. Nowhere does she ask you not to do that, but the workbook is reasonably priced and includes those extra spaces for notes and sketches, as well as some pages that are not available for download. 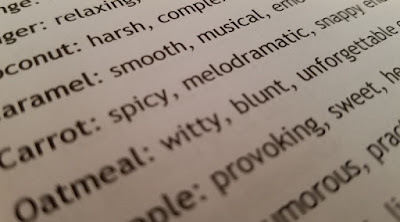 Although the book is a plotter’s dream–or could be, if it included more worksheets for scenes and other plot elements beyond the basic book summaries–I think pantsers can also use it for ideas or to track certain details. 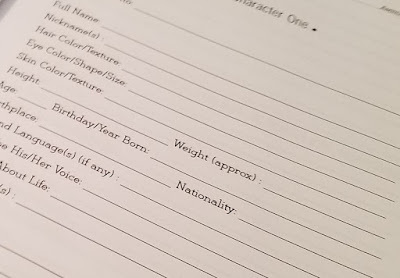 There’s no rule that says you have to fill out every line, but we all need to keep track of stuff. It’s a good deal at $6.75, especially since we can print more pages. Even if you use something like Scrivener to keep similar notes, sometimes there are advantages to the old analog way of doing things, especially if you want to make sketches on note paper. If you’re looking for something to help you plan your next story or make notes about your current work in progress–especially information about characters–give this workbook a try.